Thomas Pynchon was born in Glen CoVe, Long Island, New York to Thomas Ruggles Pynchon, Sr.
and Katherine Frances Bennett Pynchon. Pynchon graduated from Oyster Bay High School in 1953. He attended the Engineering Physics division at Cornell University, but left at the end of his second year to join the US Navy. He returned to Cornell in 1957 to pursue a degree in English. His first short story, A Small Rain, was published in the Cornell Writer in May, 1959. He received his BA in June, 1959. After graduation he began work on his first novel. During this time, from February 1960 to September 1962 he worked as an engineering aide at Boeing, writing technical documents for the Bomarc Service Information Unit and the Field Support Unit for the Minuteman missile project, both nuclear missile projects. 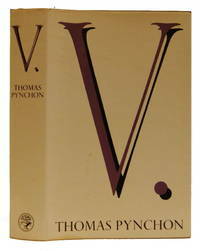 V. was published in 1963 and won a William Faulkner Foundation Award for best first novel of the year. 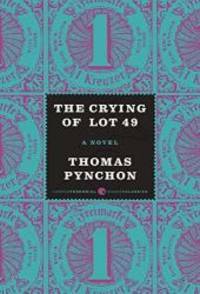 Pynchon's second novel, The Crying Of Lot 49, is short, witty and relatively accessible - but even so the plot is too elaborate and absurd to fit into a brief summary. His most famous novel is his third, Gravity's Rainbow published in 1973 to widespread critical acclaim and winning the 1974 National Book award. 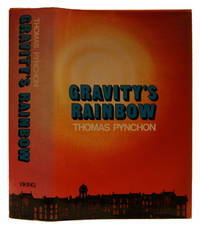 Set in Europe at the end of the second world war, Gravity's Rainbow combined and elaborated on many of the themes of his earlier work, including paranoia, conspiracy, and Entropy. It is an incredibly dense and allusive novel that requires considerable erudition simply to follow the plot, something that many of the characters seem to have difficulty with. A knowledge of Psychology, Mathematics and German Literature all help. Around this time, Pynchon became notorious for his avoidance of public view, and many rumors circulated about his identity. Only a few photos of him are known to exist. 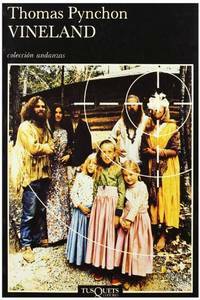 It has been said, somewhat tongue-in-cheek, that there are more and clearer photos of bigfoot than Pynchon. Shortly before the publication of Mason & Dixon in 1997, he was tracked down and filmed by CNN. Angered by this invasion of his privacy, he agreed to give CNN an interview in exchange for not revealing his photographs. When asked about his reclusive nature, he replied, "My belief is that 'recluse' is a code word generated by journalists... meaning, 'doesn't like to talk to reporters.'" Pynchon received a MacArthur Fellowship in 1989. Literary critic Harold Bloom has named him as one of the four major American novelists of his time, along with Don DeLillo, Philip Roth, and Cormac McCarthy.